Annulments are an unusual concept in family law and is an alternative to dissolving a marriage on fault or no-fault grounds. Unlike a divorce, an annulment means that in the eyes of the law, the marriage never existed either because it was against the law when entered into or that it should be voided because of the existence of certain material facts that you were unaware of when you married your spouse. 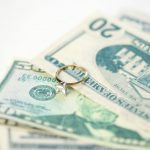 Annulments in Massachusetts are not readily granted and will require a strong showing of certain grounds such as being a victim of duress or material fraud or that your spouse was not mentally competent at the time. Should your spouse contest the annulment, courts are more reluctant to grant it unless you can demonstrate certain compelling reasons. 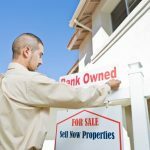 In cases like this, you may simply want to pursue a no-fault divorce. 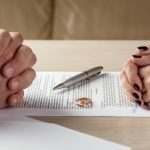 To obtain an annulment, you would file a Complaint for Annulment in the family or probate court in the county where you both live or, if you are in separate counties, in the one where you last lived together. Your complaint will have to sufficiently identify and prove the grounds for annulment. To be eligible for an annulment, your marriage would have to be either void or voidable. Consanguinity–the parties are closely related by blood, such as a brother and sister or uncle and niece. Affinity–the parties are closely related by marriage, such as a son and mother-in-law or uncle and niece where the relationship is by marriage. Bigamy–one of the parties was still married when the current marriage took place. 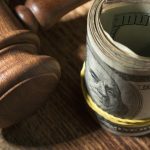 An annulment in this case will not be granted if the complaining or petitioning spouse was aware of the prior marriage when the current marriage occurred. A voidable marriage is legal and may be maintained but you are seeking an annulment because of some fact that, if known at the time of the marriage, you would not have entered into it. Fraud can include a marriage of convenience such as to gain citizenship or to avoid deportation. If your spouse concealed that he or she had a serious and permanent venereal disease and you had not yet had sexual relations, the court may be more apt to grant an annulment. Duress means that you were forced into the marriage and that you had no or little choice because of threats to your life, limb or liberty or because of undue influence. Mental incompetence is a valid ground but your spouse must have been incompetent at the time of the marriage. You will need medical records and testimony to prove this. If your spouse merely lied to you or misrepresented certain aspects of his or her life, a court will generally not grant an annulment. However, if your spouse concealed the fact that he was impotent, a court will be more inclined to grant your petition. . In any of these categories and especially if you are alleging concealment of a material fact as grounds for the annulment, you should immediately separate from your spouse when you learn of the existence of that fact or circumstance. Some marriages where an annulment complaint has been filed involve children of the marriage, whether biological or adopted. The children will be considered legitimate unless the marriage was void or unlawful at its outset because of affinity or consanguinity. In any case, the court will decide issues of custody and support.